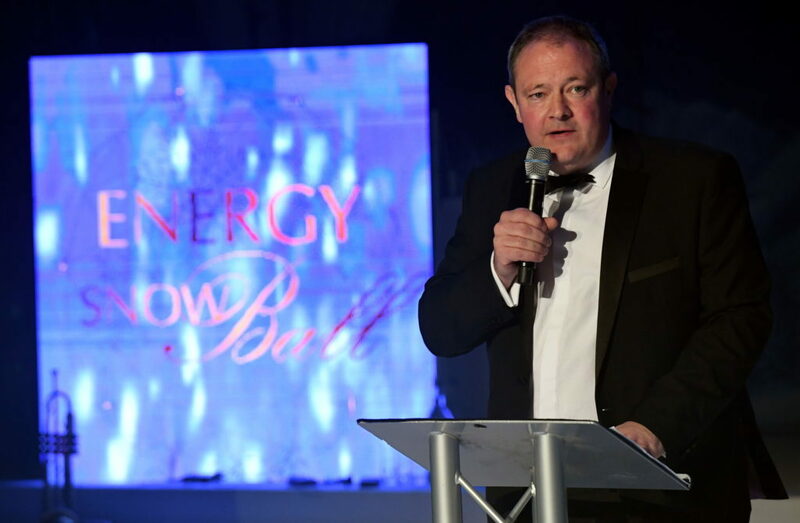 The Press and Journal Energy Snow Ball, is an exclusive winter wonderland where people from the energy sector can spend an evening marking the end of another year , and network with colleagues, old friends and new ones. The Energy Snow Ball has seen names such as Tony Hadley and ABC’s front man Martin Fry take to the stage for special guest performances, and one of the only places in Scotland that guests can experience the phenomenal Club Live Showband. The Energy Ball is the greatest networking night in the North-east business and social calendar, and now we’ve given you even more reason to join in the party! In 2017 We took a leap of faith and moved the event from October to December with the enticing prospect of hosting it in a glass marquee in the quadrangle at the world famous Marischal College. The venue did not disappoint and was out of this world. It was a chance not only to celebrate the unquestionable impact the energy sector has on all of us, it also allows you to treat colleagues, friends and guests to a spectacular Christmas celebration. This year promises to be equally as spectacular with the newly loved ever Energy Snow Ball! We hope you’ll come join the party! The Band Everyone is Talking About! The ‘Club Live Experience’ is an internationally acclaimed 14-piece Showband that performs at Private & Corporate events all over the world for the most discerning clients. Having performed with artists such as Jay Z, Ed Sheeran, Aretha Franklin and many more it is no surprise that they are described as the ‘Best in the Business’. Their infectious energy, totally interactive performances and undeniable talent puts them in a class of their own – Taking Entertainment to a whole new level! Their fast-growing reputation for exceeding the expectations of a live band has led to them performing globally at some of the world’s most prestigious events. More than 30,000 people have partied with Club Live, are you ready to join them? 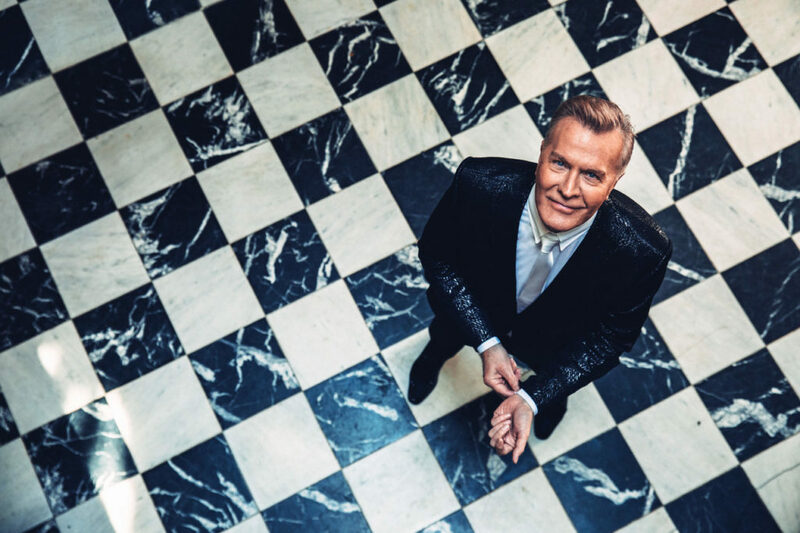 The 2018 P&J Energy Snow Ball featured a special appearance by Martin Fry / ABC, performing an exclusive set with some of their greatest hits! ABC have enjoyed a glittering career to date. Very definitely one of a number of groups who came along and kick-started the Eighties with their own brand of pop for a ‘new decade’. On its release in May 1982, their debut album ‘The Lexicon of Love’ crashed straight into the UK album charts at number one. Showcasing the hits songs ‘Tears Are Not Enough’, ‘Poison Arrow’, ‘The Look Of Love’ and ‘All Of My Heart’. A ground-breaking collection of modern love songs. Voted by many as the best British album of the decade. Veterans with Dogs was founded with the specific intention of training fully accredited assistance dogs to help mitigate the symptoms of mental health difficulties for veterans and active duty service members. The charity saw the real need to establish a programme of training as there were no other organisations in the UK providing dogs specifically for mental health disabilities. The task was a huge under taking, but inspired by seeing how some veterans and their families suffer, strengthened the resolve to do ‘something’ to help. More veterans are dying from suicides as a result of the impact of the psychological and emotional trauma than have been killed in conflict. The divorce rate, number who are now in prison or homeless, and the impact these issues are having on their children of our veterans are shocking. Many have severed relationships, are afraid to leave their homes, get little sleep due to recurring nightmares, and are emotionally numb. The aim of Veterans with Dogs, is to improve quality of life for Veterans through the companionship of dogs by providing training, education and suppor t services including, but not limited to, Assistance Dogs, companion animals and pets. 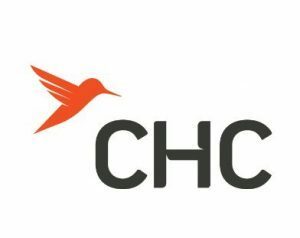 At CHC, we reach beyond our legacy, achievements, and current high standards to constantly improve our fleet, technologies, safety, and employee performance. We reach beyond our customers’ expectations to deliver the highest levels of service and cost-efficiency. And we reach beyond where others go to transport people to the most distant and challenging locations worldwide – on or offshore. We have decades of experience in quickly mobilizing custom solutions anywhere in the world, including some of the most distant and challenging locations both on and offshore. CHC provides offshore transport on six continents and operates one of the most extensive search and rescue (SAR) networks in the world with aircraft protecting offshore oil and gas workers in the North Sea, the Caspian Sea, the Atlantic Ocean, both sides of the Indian Ocean and the Timor Sea. CHC also provides around-the-clock rapid response capabilities for a variety of government and private customers throughout the world. We know consistency is extremely important to our customers, which is why CHC is the only helicopter services company with a global infrastructure and global standards that allow us to identify best practices in one part of the globe and leverage them across the entire CHC system. Our global infrastructure allows us to accelerate innovations that enhance safety, increase efficiency and drive consistency across our operations worldwide. Couple the highest global standards in the industry for safety, quality and compliance coupled with our local expertise, we make complex operations simple for our customers. ITC are a modern facing, dynamic solutions driven company, providing Full Hydraulic and Electrical Design, Manufacturing, Service and Repair, Equipment Hire, Offshore and Onshore Personnel and Component Supply. We can deliver a more flexible, fast response and cost-effective service, tailored specifically to meet the needs of our clients. ITC offer engineering services and solutions in specialised area’s such as systems consultancy, manufacturing and assembly, HPU’s maintenance of ROV handling equipment, rig skidding units, BOP handling equipment, crane overhauls, on and offsite (including offshore) pipe work manufacture/installation and more …. With our experienced and knowledgeable team of engineers, sales staff and purpose-built facility we can cater for a vast range of requirements from simply supplying a fitting to the design and manufacture of bespoke hydraulic electrical systems, onshore and offshore. ITC have the knowledge and stock levels to satisfy all hydraulic requirements. Our hydraulic and field service engineers regularly work with our clients to carry out system modifications, upgrades and surveys offsite and offshore. ITC now stock a wide range of Span Subsea gauges up to 15,000 PSI. We are also Scotland and Ireland’s main distributor for all AMCA products. We can also offer Hydraulic Equipment hire with a fleet of HPU’s, combi hose reelers flushing rigs, mobile filtration rigs, Subsea Pressure Intensifiers, laser particle counters, pressure test equipment, containerised workshops, Casing Jack for well abandonments globally. ITC enjoy high levels of repeat business attained through constant dedication, commitment, attention to detail and safety. Cameron Presentations is a family run events company with a strong focus on the client experience. The ethos – create engaging, memorable experiences using the highest quality equipment and most talented personnel. Cameron Presentations provide comprehensive event solutions to a variety of clients operating in a vast array of fields. We have a wealth of experience in facilitating top-end, high-specification events of varying size with an array of service requirements. This diversity in client requirements is fulfilled by the ability to offer a completely comprehensive level of service. The full-service offering allows for client support through idea generation and presentation design to logistical troubleshooting and technical guidance on the day of the event. All of our guests agreed this was the best one yet, brilliantly organised, great food, good service and what a fabulous band. The entertainment and variety they brought to the event was exceptional. Our industry is suffering at the moment but this certainly allowed us all to put that to one side and collectively enjoy the event. Well done to all involved in the preparation, planning and execution… !